Crowds gather to celebrate Fidel Castro’s death near Versailles Restaurant in Little Havana Saturday afternoon. Photo courtesy Tiffany Perez. Fidel Castro in Havana in 1978. Photo courtesy Flickr user Marcelo Montecino. Fidel Castro, leader of the 1959 Cuban Revolution, passed away at 10:29 p.m. on Friday night, according to an announcement by his brother and President Raul Castro on state television. Fidel Castro began Soviet-inspired communism in Cuba and ruled for nearly 49 years before stepping down in 2008. In Miami’s Little Havana, spontaneous festivities broke out on Friday night and lasted throughout Saturday to celebrate the end of what is widely viewed as a dark era for Cuban-Americans. 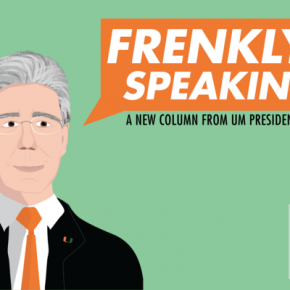 The news of his death shook many Cubans to the core, and the University of Miami community was no exception. 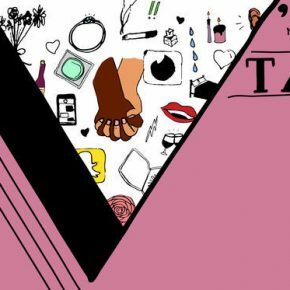 Social media was abuzz with the news, and some students even shared their firsthand experiences on the streets after Castro’s death was announced. In the video below from UM student Jose Paredes, the crowd repeatedly chants “Libertad!” or “freedom” as they celebrate early Saturday morning. A large part of the Miami Cuban community arrived in Florida after fleeing Castro’s reign, which began after the overthrow of dictator Fulgencio Batista. 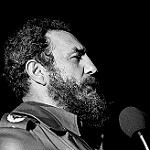 An influential revolutionary married to the ideals of egalitarianism, Castro has been credited for his radical strides toward universal healthcare and improving national literacy in Cuba. However, Castro’s radical measures also included imprisoning thousands of political enemies, executing members of the old government, stifling free press and seizing farms and businesses from private owners. Under Castro’s tenure, Cuba also suffered a severe economic downturn and famine after the breakup of the Soviet Union in the early 1990s. 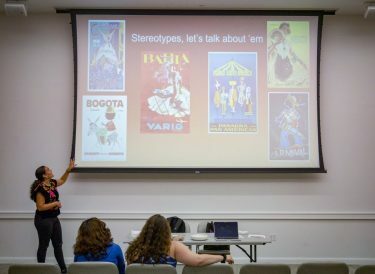 Cuban students at the University of Miami cite some of these reasons for their family’s immigration to Florida. 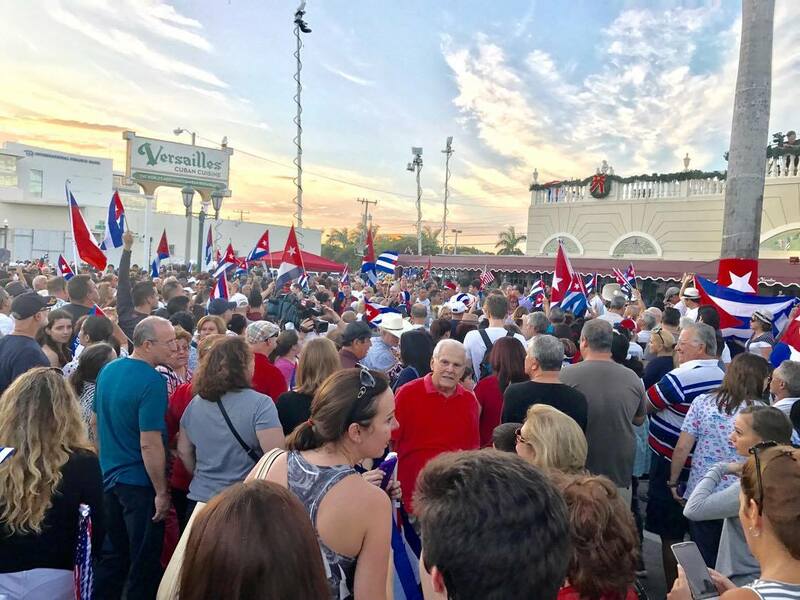 People flood Little Havana on Saturday evening, waving flags, newspapers and posters to celebrate the end of Castro’s influence on Cuba. A man holds up a poster with a slogan that translates to, “For Cuba, it is time!” Photo courtesy Tiffany Perez. Perez’s aunt also came from Cuba on a raft as a teenager. Perez said legal emigration from Cuba was “nearly impossible” at the time. The news of Castro’s death elicited strong reactions for many such families, who have had painful histories related to Castro’s Cuba. 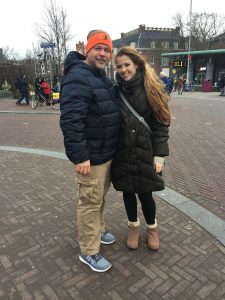 Junior English major Diannis Barban said she ran around the house chanting “Viva Cuba libre'” after she first heard the news from a friend’s text. Barban says her family was relatively “lucky” – they gradually emigrated to the United States and were still able to visit family in Cuba. 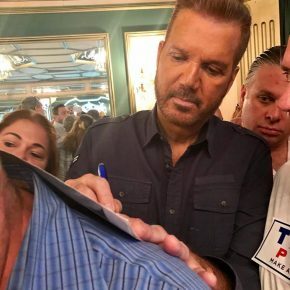 Cuban-American music icon Willy Chirino, who vocally criticized Castro’s regime, stopped by Versailles Restaurant to speak to the crowds. “The head of the snake is gone,” said Chirino in an ABC 10 report. Photo courtesy Tiffany Perez. In Little Havana, the atmosphere resembled that of a holiday. 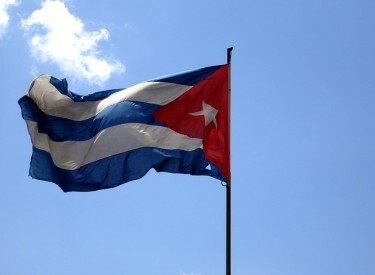 Red, white and blue Cuban flags were being sold on the streets. Cars honked and played music. Newspapers like The Miami Herald and El Nuevo Herald handed out free issues. 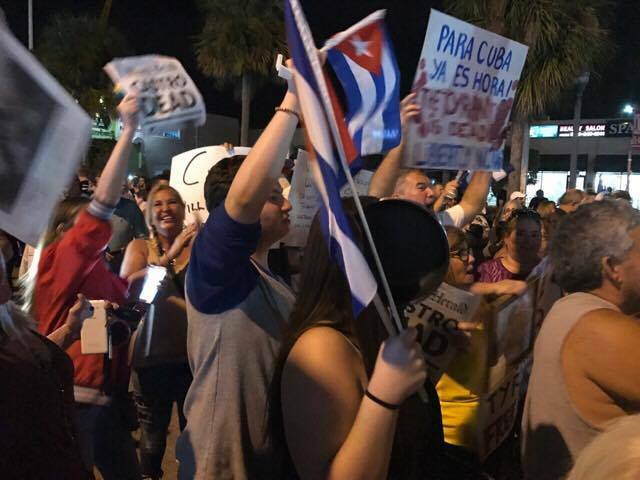 Community members chanted in Spanish, banged pots and pans and held up posters with slogans like “Para Cuba ya es hora” – for Cuba, it is time. Castro often went toe-to-toe with the United States government, particularly during the height of the Cold War. President Dwight Eisenhower officially severed relations with Cuba in 1961; just months later, President John F. Kennedy attempted the Bay of Pigs invasion with the help of Cuban exiles. Tensions peaked during the Cuban Missile Crisis in fall 1962, when the United States and the Soviet Union came close to waging nuclear war. At 90 years old, Castro outlived almost every major leader of that era. He was only 32 when he first took power in Cuba. In the last decade, Cuba has taken steps toward change. Individuals can now own private property and businesses, and religion is returning to the nation after decades of national atheism. 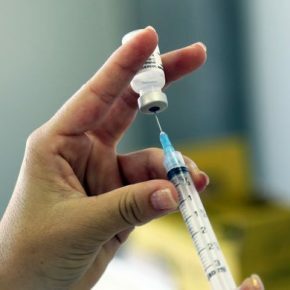 It is now easier for Cubans to travel outside of the country. In 2015, the United States restored diplomatic relations with Cuba.